d:Nov. 26, 1825, 26y, dau. 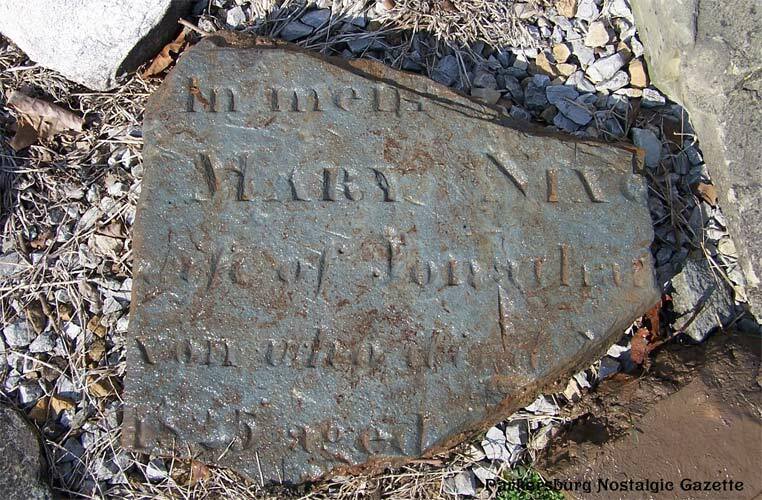 of George and Ruth Kyger, wife of Jonathan Nixonheadstone fragment [uncovered March 21, 2010]. She was relocated to Riverview Cemetery at an unknown date.